The treatment of lupus depends on the symptoms experienced and organs affected. Each treatment plan is designed for the individual patient and may change over time. The treatment of lupus depends on the symptoms experienced and organs affected. As lupus is an unpredictable and individual disease, the treatment plan is designed for the individual patient and may change over time. 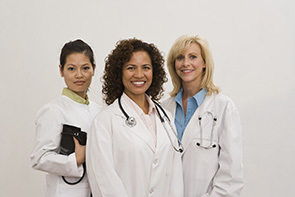 A rheumatologist is a doctor who specializes in the treatment of arthritis and related diseases, including lupus. Other specialists may include a dermatologist for skin problems, nephrologist for kidney disease, hematologist for blood disorders, and neurologist for disorders of the central nervous system. Other health professionals such as occupational therapists and physical therapists and mental health counselors may be consulted. Treatment includes medication to reduce inflammation and pain and reduce the activity of the immune system and maintaining a healthy lifestyle with proper nutrition, adequate exercise and rest. Medications to control inflammation include non-steroidal anti-inflammatory drug. These include aspirin, ibuprofen and many other related drugs. These medications help control inflammation and pain associated with lupus. All of these drugs have possible side effects, which irritate the stomach or intestines and can cause bleeding, ulcers or diarrhea. Newer anti-inflammatory drugs called COX-2 inhibitors may have fewer stomach side effects. Antimalarials are another type of drug commonly used to treat lupus. These drugs were originally used to treat the symptoms of malaria, but doctors found that they are also useful for treating lupus. Scientists believe that anitmalarials work by suppressing parts of the immune system. Specific antimalarials used to treat lupus include hydroxychloroquine (Plaquenil), chloroquine (Aralen), and quinacrine (Atabrine). These medications can be used alone or in combination with other drugs. They are helpful in treating fatigue, joint pain, skin rashes, and inflammation of the lungs. Side effects of anitmalarials can include stomach upset, and, extremely rarely, damage to the retina of the eye. Glucocorticoids, such as prednisone, are powerful immunosuppressives that work by rapidly suppressing inflammation. Because they are potent drugs, the doctor will seek the lowest dose with the greatest benefit. Short term side effects include swelling, increased appetite, weight gain, and mood swings. These side effects generally stop when the medication is stopped. It can be very dangerous to stop taking corticosteroids suddenly, so it is very important that the patient and doctor work together in stopping or changing the dose. Long term side effects of corticosteroids can include stretch marks on the skin, excessive hair growth, weakened or damaged bones, high blood pressure, damage to the arteries, high blood sugar, infections and cataracts. Typically, the higher the dose of corticosteroid, the more severe the side effects. People with lupus who are using corticosteroids should talk to their doctor about taking supplemental calcium and vitamin D to reduce the risk of weakened and fragile bones (osteoporosis). For patients with major organ involvement, such as the kidneys or central nervous system, drugs called immunosuppressives may be used. In lupus the immunosuppressive drugs most often used are azathioprine, cyclophosphamide, and methotrexate. Cyclosporine and mycophenolate mofetil (CellCept) are also used. These drugs may be given by mouth or by infusion. Side effects may include nausea, vomiting, hair loss, bladder problems, decreased fertility, and increased risk of cancer and infection. The risk for side effects increases with the length of treatment. Exercising on a regular basis is very important. It may be easier to exercise when the lupus is less active, however, even during a flare gentle range of motion exercises can keep you from feeling stiff. Exercise can help prevent muscle weakness. A physical therapist can help you develop an exercise routine that fits your level of fitness and schedule. No special diet is recommended for people with lupus. A balanced diet with the possible addition of a multi vitamin is suggested. Your doctor may recommend a special diet to help specific problems caused by lupus, such as kidney disease. Drinking alcohol has the potential of harming your liver and is contraindicated with some medications. Exposure to the sun and certain fluorescent lights can make skin rashes or other systemic problems worse in lupus. Sun exposure can cause lupus flares, resulting in fever, joint pain or even inflammation of internal organs. Sun sensitivity varies greatly from person to person. Sunscreen and protective clothing is recommended.